When you have turf installed in your garden, one of the main things you want to do is keep it looking fantastic all year round. If you aren’t sure how to maintain your grass so that it’s green and lush during all seasons, then you might want to explore this handy guide. Narrowing down turfs to choose from can be done by determining your soil type and the climate in which you live. Some turf such as Empire Zoysia are able to withstand a higher salinity then others, and so may be suitable in coastal areas. Others, with the right maintenance, will stay green in warmer, dryer parts of region. Do you need turf that can withstand the impact of gumboots clomping in winter and thongs jumping and running on it in summer? Perhaps you have some pets that like to frolic on the grass too? If so, you’ll need grass that can withstand that foot traffic, no matter what the season. Small areas of grass in the shade will differ in their maintenance needs than large areas which face areas of shade and sun, which is why considering the lawn size is important. Are you away lot, or would prefer something that needs less mowing over all seasons? 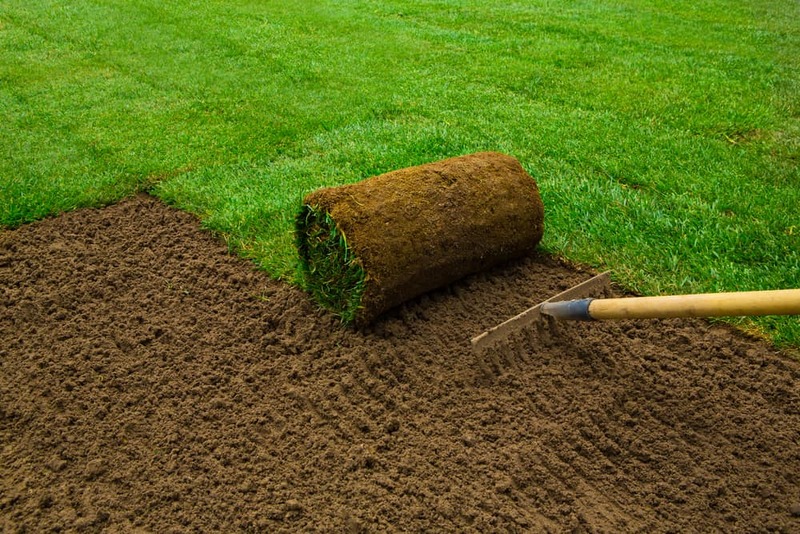 Your turf supplier will be able to find something that suits your exact needs. You might have the common misconception that you should need to water your grass as often as possible in the warmer seasons of the year. While that will depend on your turf type, it’s important to note that you shouldn’t need to water your grass more than a couple of times a week in summer, and even less in autumn and winter. The key is to provide your grass with a long, deep watering during those times. This helps develop stronger root systems which will keep your grass looking green and lush, no matter what the season. Regular mowing is great for your lawn at any time of the year. Not only will it keep those nasty weeds at bay, but it will also encourage growth in your lawn, making for a thicker, healthier grass. In wetter times of the year, don’t mow unless you get a nice day where the grass is dry. Mowing wet grass can lead to problems for your lawnmower and your turf. All year round, avoid mowing your grass too short, but especially in summer, as this will dry your soil out faster due to the hot sun and the more exposed root system. What about in Wild Weather? If you have already chosen the right turf for your Sydney location, you shouldn’t have too much trouble with erratic weather. In long heatwaves, your grass may require more watering, and during very wet days, there’s no need to water. As long as your turf is watered and fertilised throughout the year, it will be able to withstand whatever Mother Nature throws at it. Since 1974, Hi Quality Turf has offered a wide range of popular residential and commercial turf varieties to homes and businesses such as Buffalo Grass, Couch Lawn, Empire Zoysia, Kings Pride Buffalo, Palmetto, Sapphire Turf and Kikuyu. We deliver turf supplies within Sydney, Wollongong, Newcastle and the Central Coast. Contact us today on (02) 45 723 666 and make your dream lawn a reality.